Due to its neutral flavor, Dr. Goerg Premium Organic Coconut Cooking Fat can be used for sautéing, baking, cooking and as a substitute for butter. Due to its high smoke point (234°C) it is suitable for French fries and other deep fried foods. That way you can even prepare tempura and other fried dishes in an optimal manner. It doesn’t contain any trans fatty acids or preservatives and therefore constitutes a healthy alternative to other frying and baking fats. 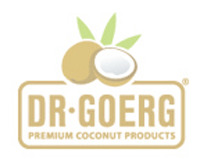 Dr. Goerg Premium Organic Coconut Cooking Fat is obtained from fresh coconut flesh and contains high levels of antimicrobial lauric acid, just like organic virgin coconut oil. Coconut cooking fat has a high smoke point and is perfectly suited for deep-frying, sautéing and baking. To render it neutral in taste, Dr. Goerg Premium Organic Coconut Cooking Fat is deodorised. That way you can benefit from all the fat’s good qualities even when your dish does not require a coconutty flavor. Try it and see for yourself: this neutral coconut cooking fat is perfect for savory dishes. Deodorising the Dr. Goerg Premium Organic Coconut Cooking Fat does not affect its top-quality in any way. Just like Premium Raw Organic Virgin Coconut Oil, the coconut cooking fat is gently cold-pressed and processed within 72 hours of harvest. That way all vital substances of the product are retained. By the way, coconut cooking fat is an excellent alternative to butter. Vegans and raw food enthusiast in particular appreciate Dr. Goerg Premium Organic Coconut Cooking Fat as a delicious sandwich spread.